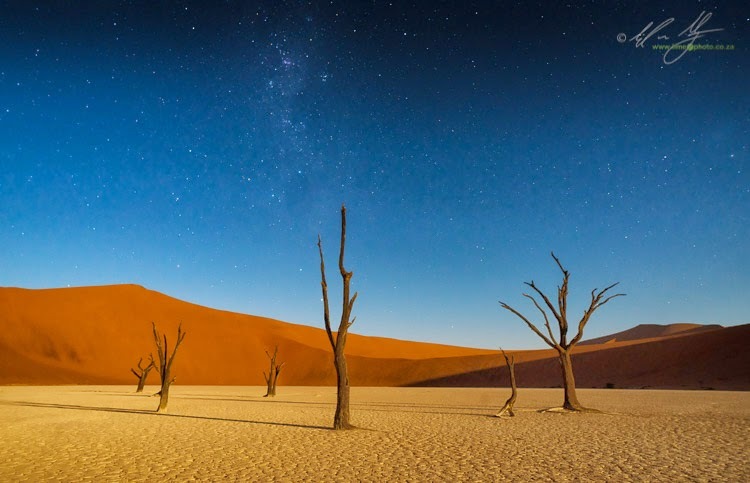 The images were created using a Nikon D3x and D800 as well as a Fujifilm XT-1. Lenses were Nikkor 20mm, 24mm, 35mm, 50mm, and 24-120mm lenses and a Fujifilm 18-55mm and Samyang 12mm. I processed everything into timelapse clips using the excellent LRTimelapse software and then clipped it all together using Premiere Pro. Admittedly I borrowed a couple of scenes from the 2013 recce tour, but they are the same locations and similar conditions. Click through to the Vimeo site to see the movie (https://vimeo.com/119947394), otherwise take a look at the pdf for more information on this year's 'Composing the Dunes' workshop taking place between the 5th and 17th November 2015.